I tend to plan my travel fairly thoroughly, but always leave enough flexibility in my plans to enjoy the unexpected opportunities that happen frequently here in Japan. Last week, I traveled to the Fuji Five Lakes region, near Mt. Fuji, to continue my climbs for the 100 Summits project. 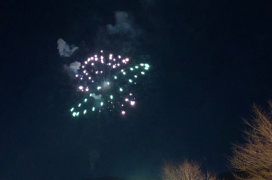 While on the train to Kawaguchiko (Lake Kawaguchi), I saw a flyer advertising New Year fireworks–a common celebratory event here in Japan. 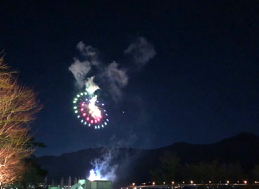 To my surprise, the flyer said the final night of fireworks was that very night–and since my ryokan (traditional inn) was located near the lake, I hoped I would be able to see the show. 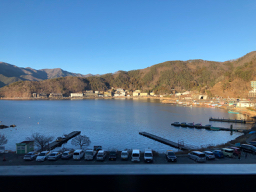 After leaving my bags at the ryokan, I spent a lovely day in the mountains surrounding the lake, traversing ridges and saddles to reach three different peaks (more on that adventure another time). 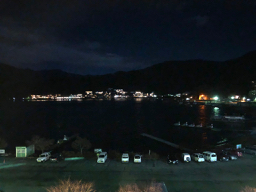 The ryokan staff explained that I’d be able to see the show from my room, but when the popping started, I couldn’t see anything out my window but the lake. (a lovely sight, but not fireworks!) so I pulled on my shoes and raced down the stairs – in plenty of time to catch 17 minutes’ worth of the 20 minute show. Three minutes later . 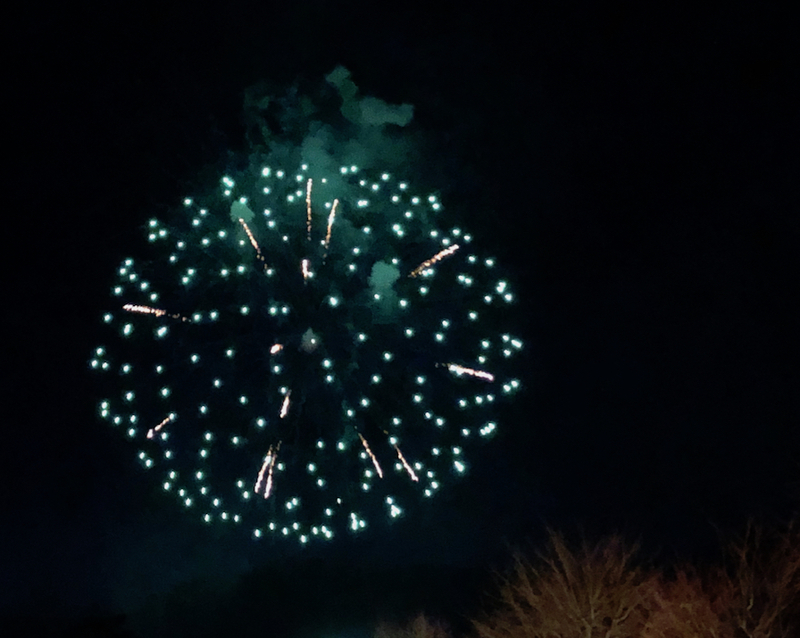 . . the fireworks started up directly in front of the ryokan, where I would have been able to see them from the room. 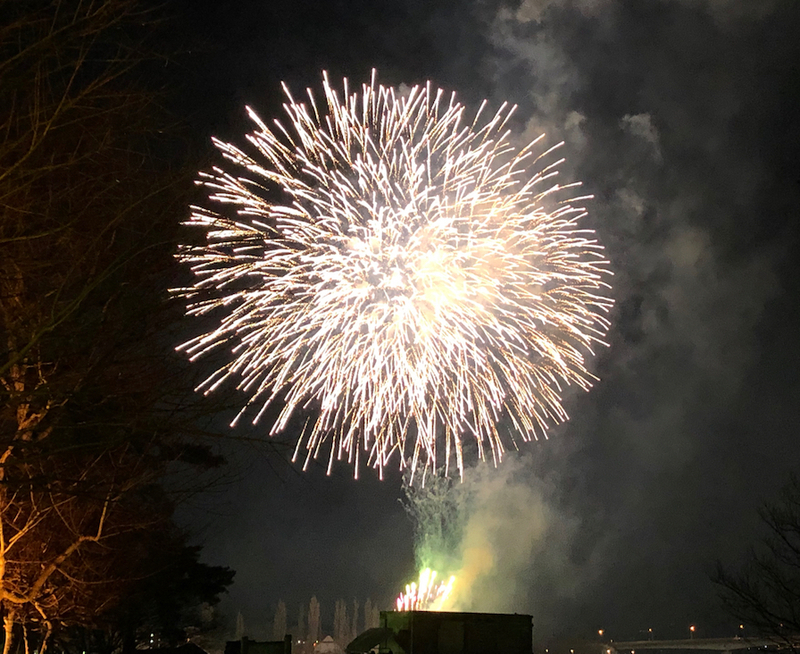 However, the fireworks farther down the lake continued also, and by standing outside I had a perfect view of both shows – each of which was spectacular, start to finish. 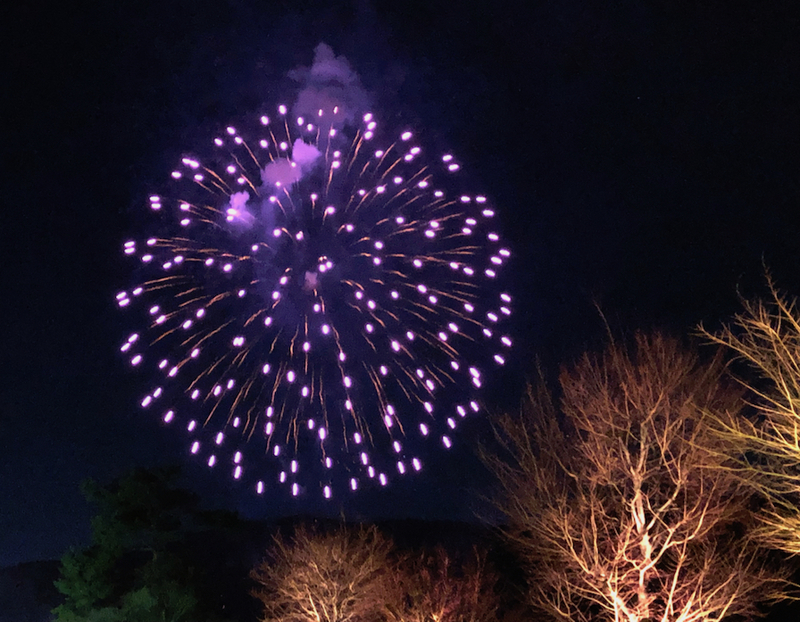 The fireworks were merely the latest in a long, long line of unexpected but delightful surprises I’ve experienced while traveling in Japan. They’ve taught me the value of traveling mentally as well as physically light, and not getting so tied to itineraries that I lack the ability to enjoy the opportunities I hadn’t planned. Beautiful story and pictures of your travels! Both planned and spontaneous would be my answer as well. If there is a lot that I want to do, assigning days to specific trips to ensure seats and reservations is prudent, but having the freedom to be able to sit and enjoy a specific view or engage in a long conversation that might happen spontaneously, that is a must! I feel exactly the same way. I make plenty of plans, and reservations, but then give myself permission to enjoy the spontaneous too!